Central Europe, beginning 16th century. 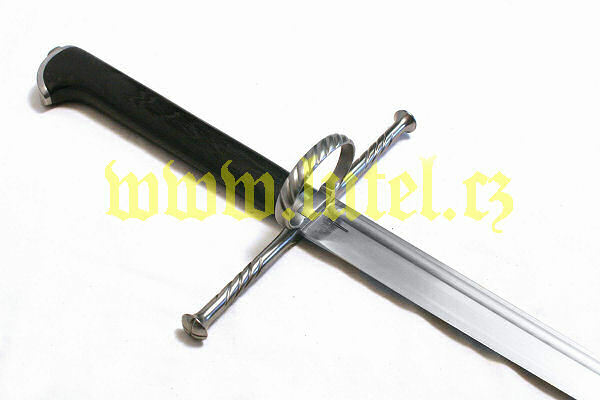 Single edged and a little curved grooved blade, decorated guard with a ring, wooden lacquered two-handed grip. Blade 85 cm, width 40mm, weight 1,4 kg. With leather belt with hangers.